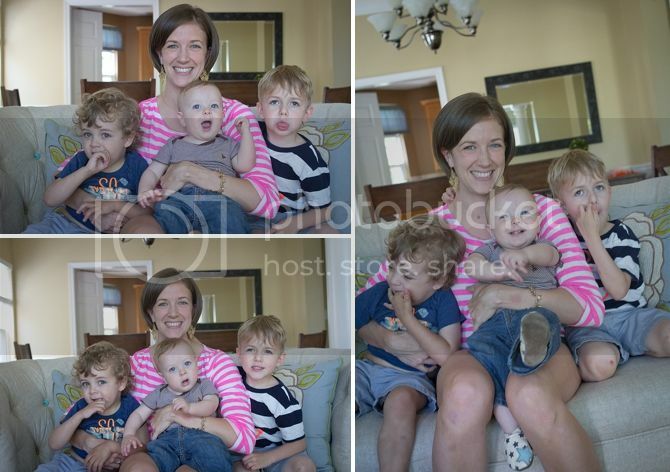 I really wanted a picture with the boys for Mother's Day--luckily, we celebrated the day with someone who happens to be a fabulous photographer and is patient with my kids who photograph... in a special way. Luckily Keaton is still in the stage where he loooooves me and naturally makes precious faces. I have a hard time not kissing him constantly. He's so soft. And smiley. Oh man I love him. And this is what my boys do in pictures. Braden: hand in mouth. All the time. Keaton: grins or is confused. Finley: rapidly changing emotions. Smiling. Silly. Itchy. I'm just happy they all sat still with me! 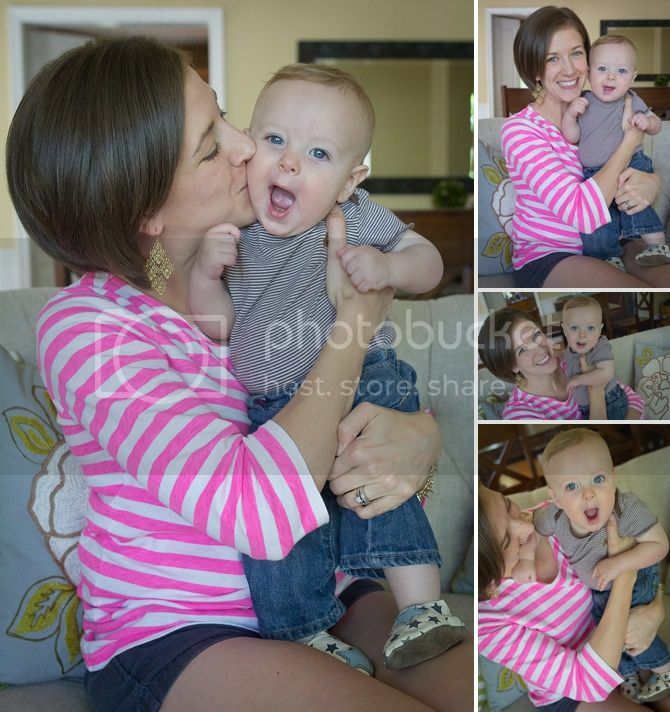 And Henry--he's clearly well trained by his photographer mama and rubbed off a bit on Finley in this picture! Those two had such a fun time playing Legos and Superheroes. It was adorable to listen to them play together and make up games--they are getting so big! 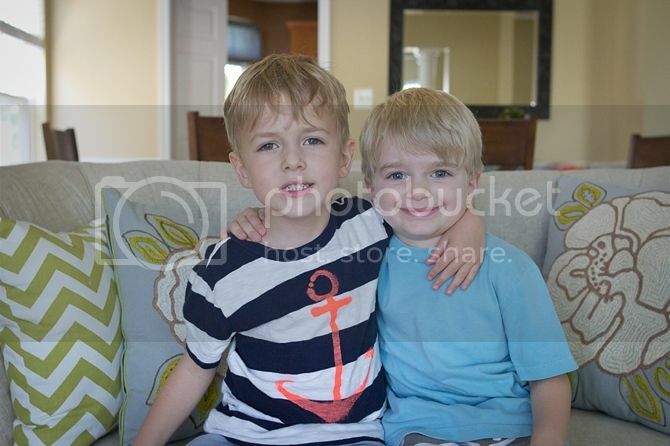 Henry and Finn are so cute! And also, how are you a minivan driving mom of three boys? I swear we lived on Juliette just yesterday.